This month I have been testing a ton of fun pumpkin spice recipes and I’m exited to be sharing one of my favorites on Craftaholics Anonymous – pumpkin spice marscapone monkey bread! 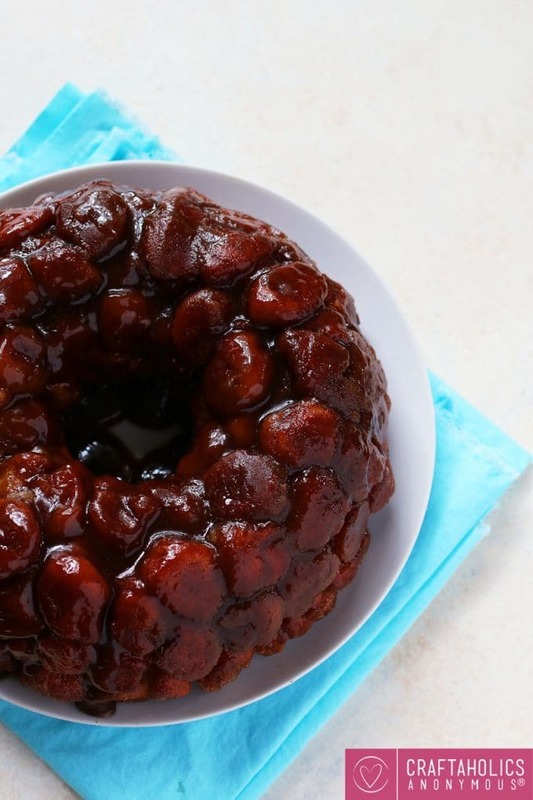 As a kid, monkey bread was one of my favorite treats and I have made this great cinnamony pumpkin spicy monkey bread. It is delicious, sweet and autumn-centric! Can you image having that as your dessert? Each delicious piece is full of sweet cheesy-spicy goodness. This will be the best fall dessert you’ll try all year! To get this delicious recipe, head over to Craftaholics Anonymous!